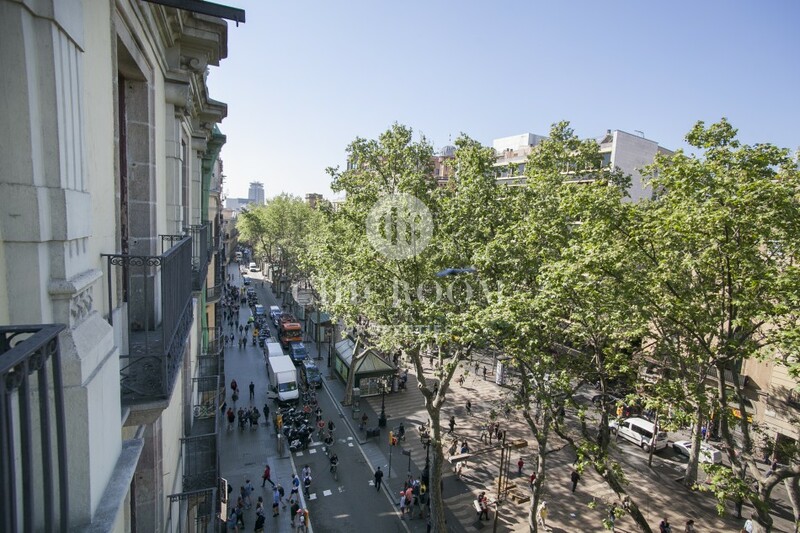 Do you want to settle in one of the most emblematic and dynamic streets of Barcelona and enjoy a beautiful view of the Catalan capital? 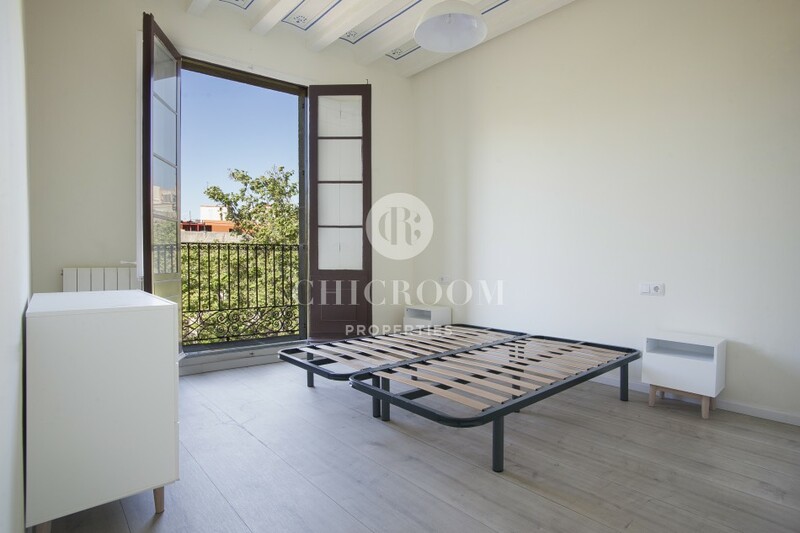 This is what offers ChicRoom Properties with this charming furnished 2 bedroom apartment for rent on las Ramblas. 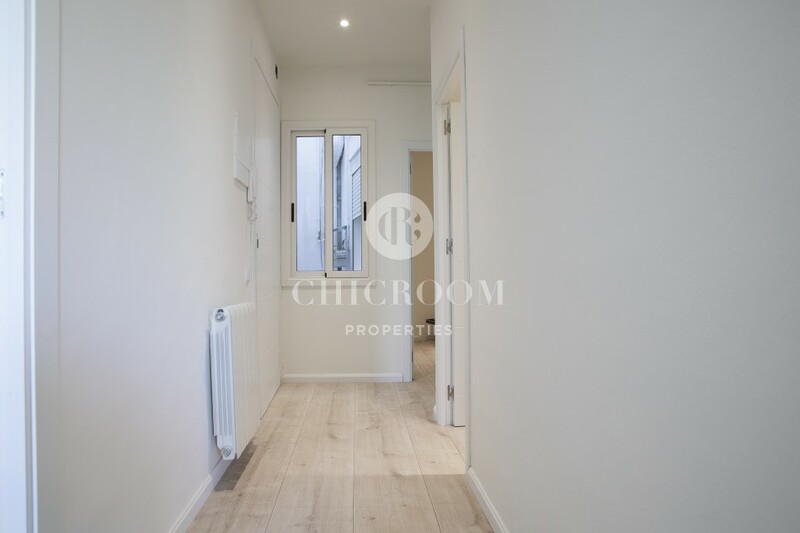 The pretty property is divided into several spaces on an area of 70 m2. 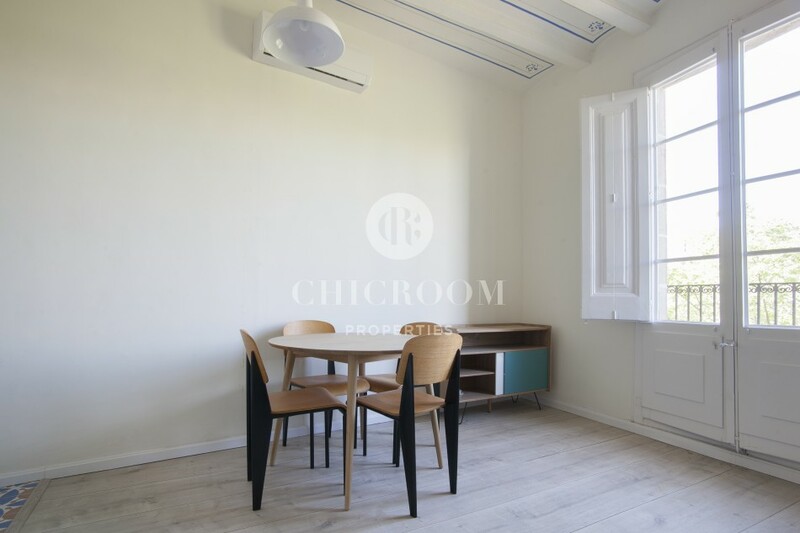 In the main room, you will find the living room, a dining room, and an open plan kitchen. 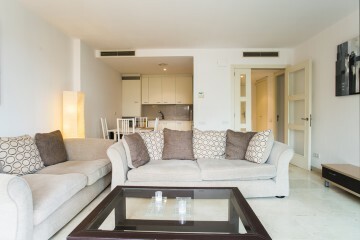 The living room is equipped with a comfortable two-seater sofa and the dining table can accommodate between 4 and 6 people. 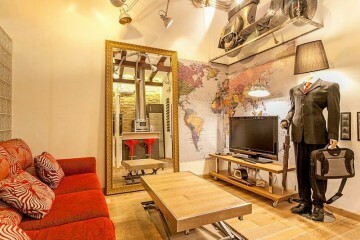 The luminosity and the simplicity of the space make it aesthetically very pleasant. 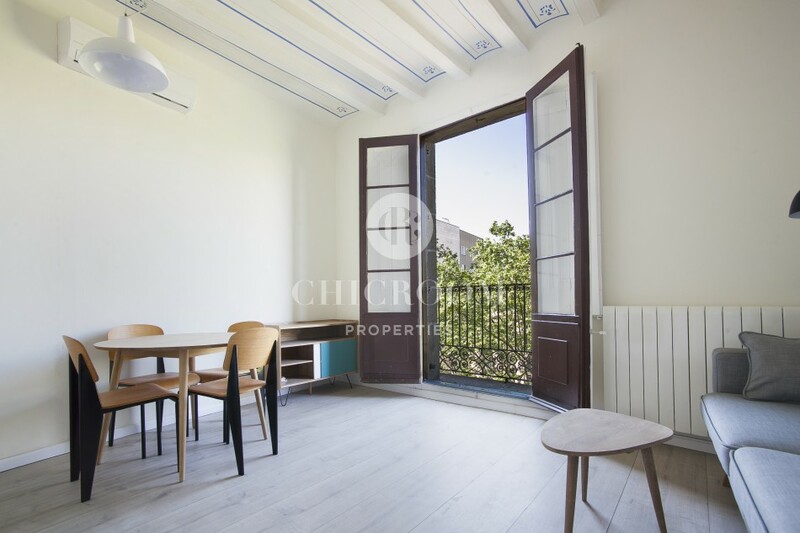 A small balcony is accessible from the main room and you have a view of the famous Ramblas. 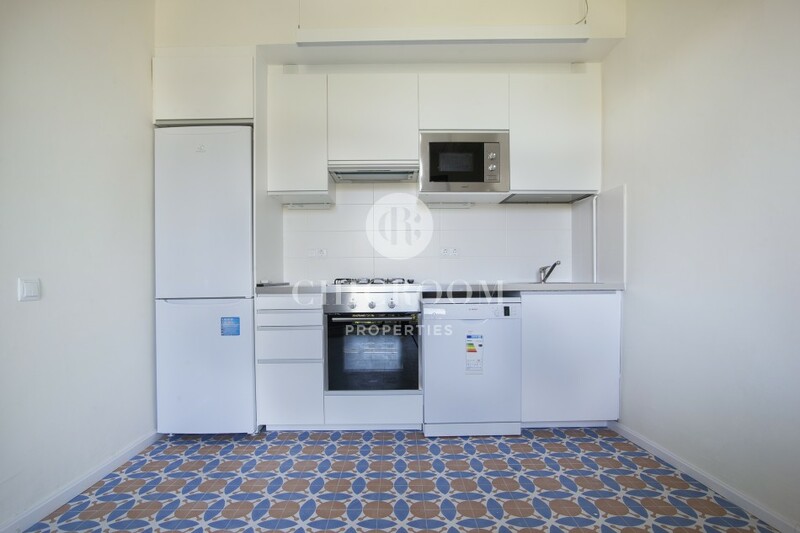 The kitchen is equipped with good quality appliances such as a refrigerator, oven, microwave, stove and dishwasher and has several storage cabinets. 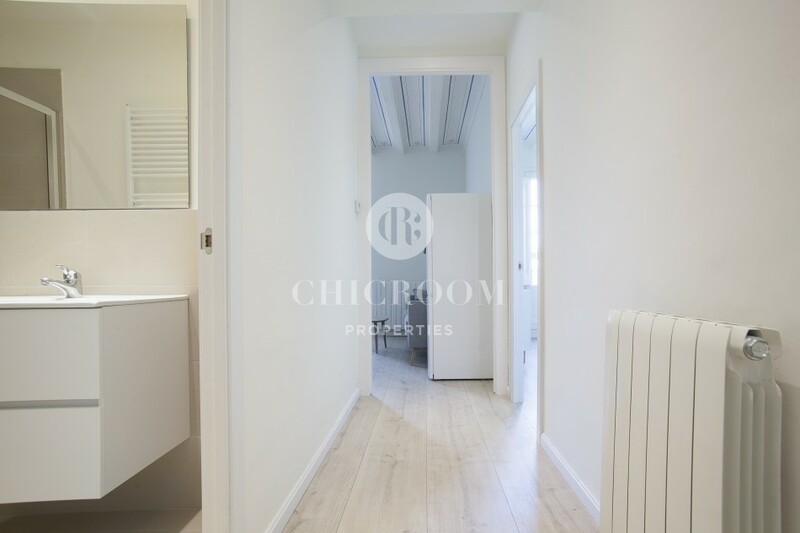 A traditional Catalan-style tiled floor is paved on the kitchen floor; It blends harmoniously with the elegant wooden flooring in the rest of the room. 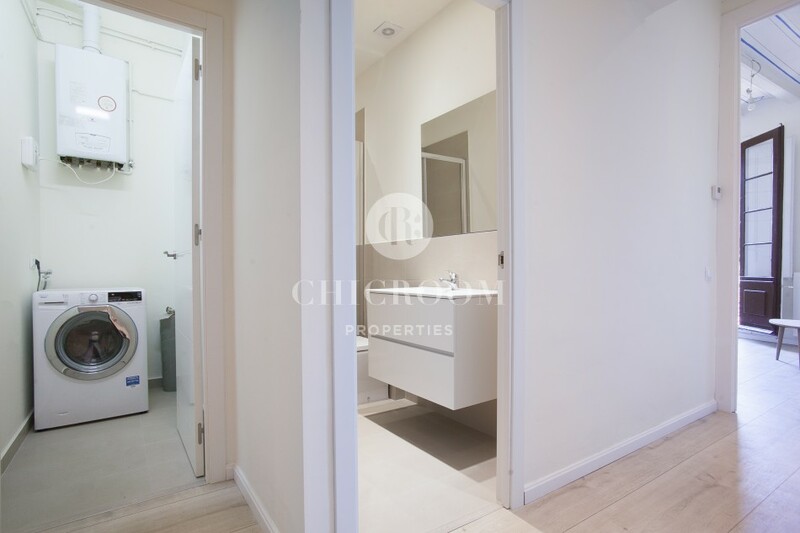 The apartment has two bedrooms and a bathroom. 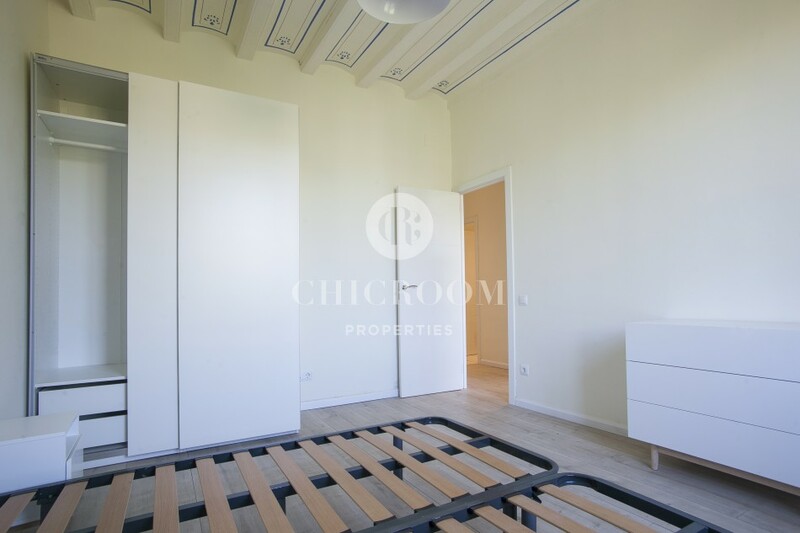 The first partly furnished bedroom contains a double bed and two large windows overlooking a balcony. 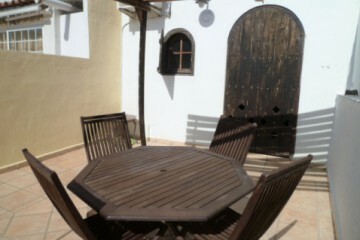 The second bedroom has a single bed and there is a window in the room. 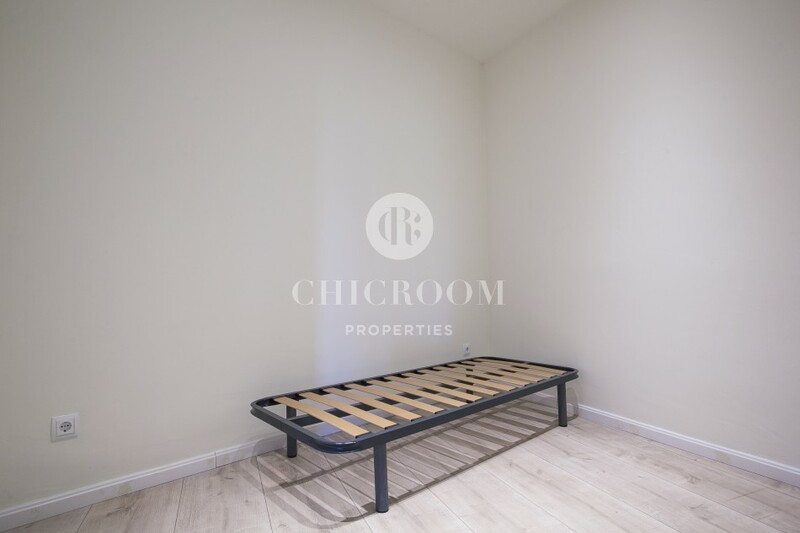 (Attention, the apartment is partially furnished, there is no mattress on the beds.) 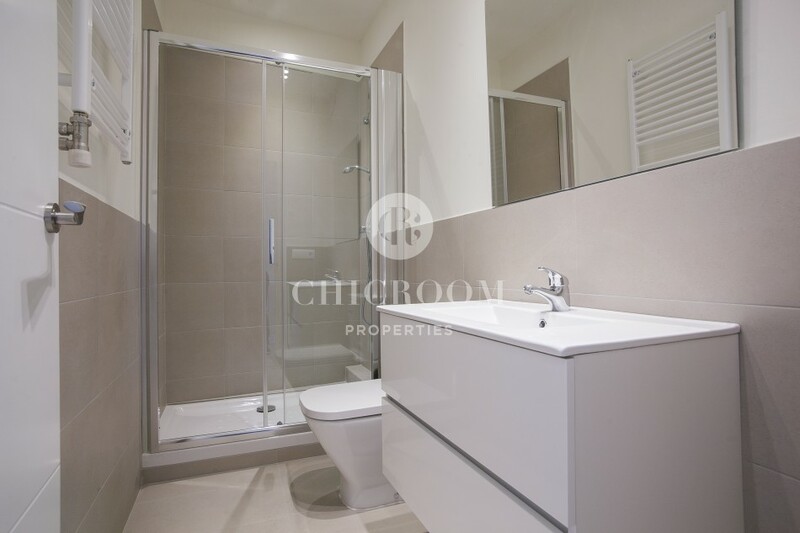 As for the bathroom, it is modern and it contains all the necessary: shower, washbasins and WC. 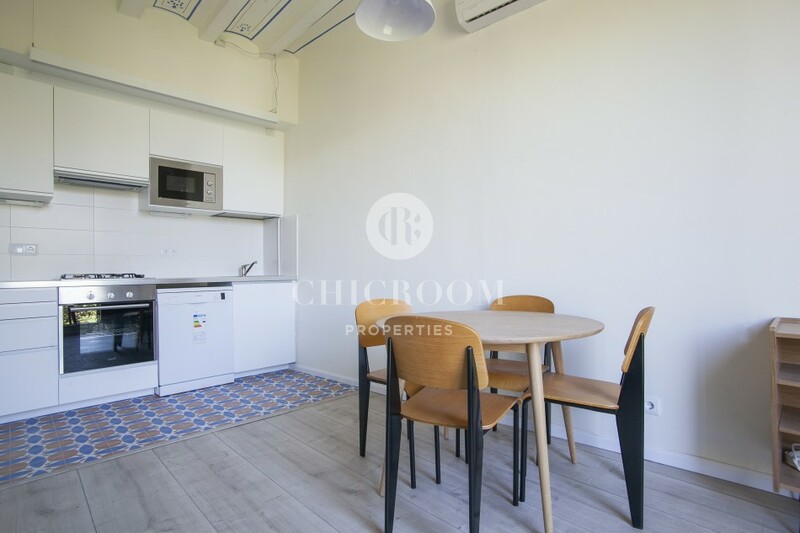 All in all, the apartment has a charming style that combines modernity and tradition, with beautiful parquet floors, wooden shutters and exposed painted wooden beams on the high ceilings. 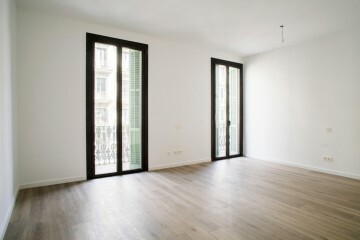 But above all, you have a beautiful view of the Ramblas! 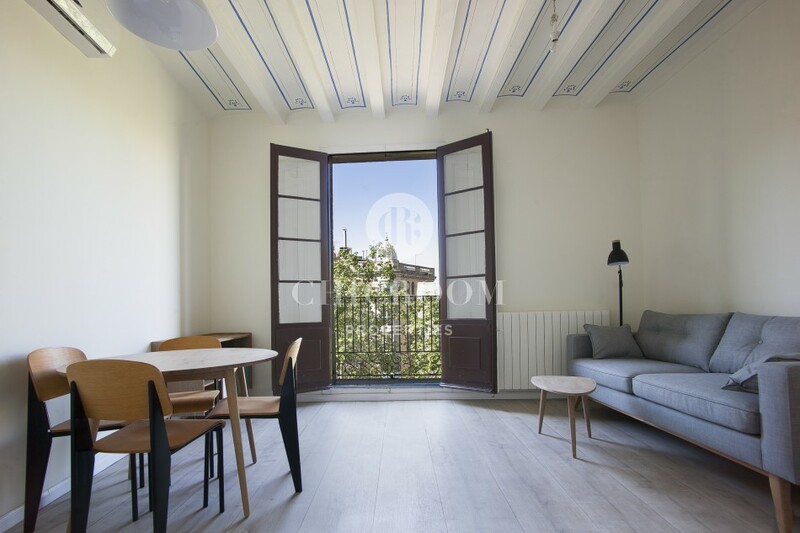 The property enjoys a very central location, between the Raval and the Gothic Quarter but also very close to one of Barcelona's most important landmarks: The Plaza de Catalunya. 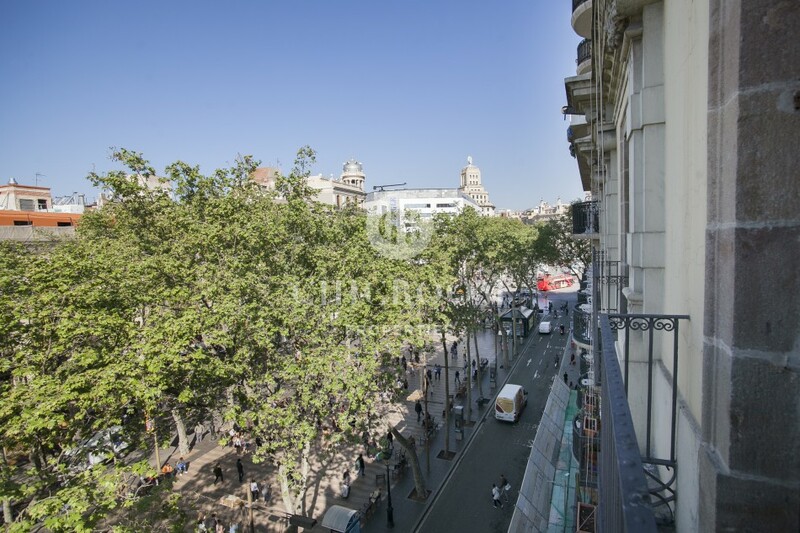 Several tourist sites surround you and if you want to do some shopping, the very glamorous Passeig de Gracia is not far! 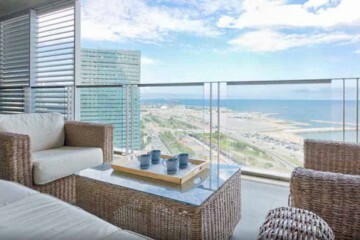 Many bus stops and subway and train stations can be found near the apartment. 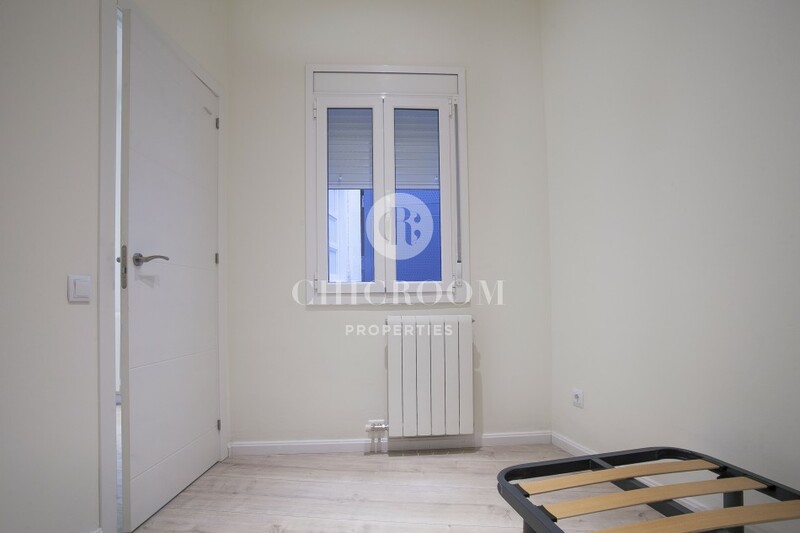 The many assets of this furnished 2 bedroom apartment for rent on las Ramblas convinced you? 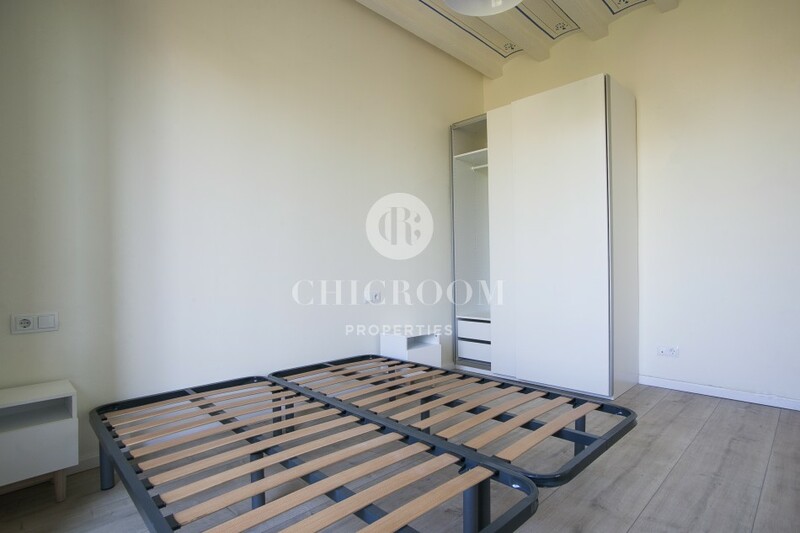 Do not hesitate to contact ChicRoom Properties for more information!